70% untouched, a miraculous tropical island, full of, and surrounded by endemic species not found elsewhere. The island is prehistoric one might say, located just 600 kilometres from the eastern Australian coastline. 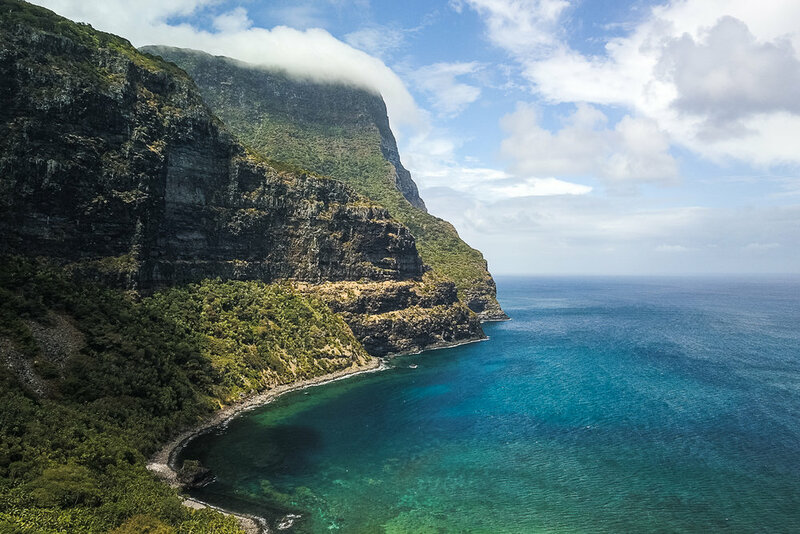 Surrounded by a crystal clear reef Lord Howe is ‘temperate’ by tropical standards, yet a look underwater would have you believe otherwise. My friend Alex and I departed Ballina, aboard the good ship Waratah Lass, a Nicholson 32. With only 12 hours of prep time to make our weather window, we hastily departed through the Ballina bar and set a direct course for Lord Howe. As predicted, we soon were pushed on a more northerly course. We visited Elizabeth Reef, 100nm north of Lord Howe, anchoring in the middle of the ocean for a night. 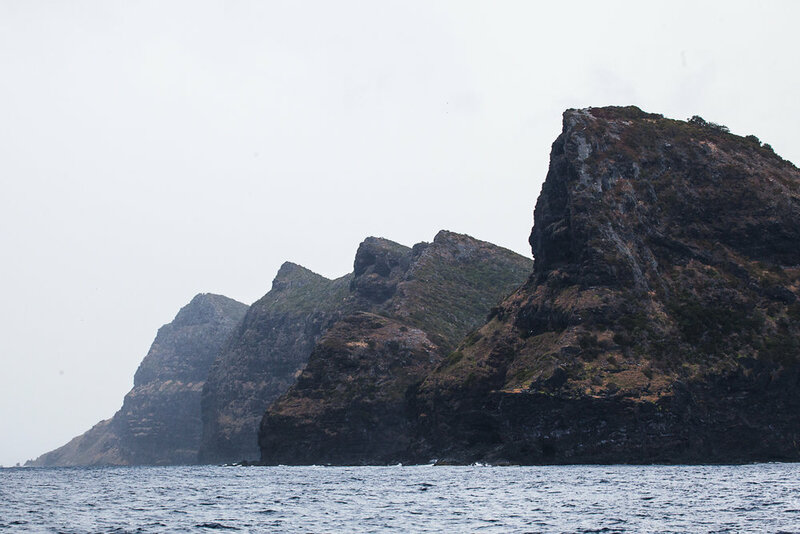 Our entrance into Lord Howe made the island look more sub-antarctic than tropical, a deep coloured squall blew through as we dropped our mainsail. By the afternoon the sun shone brightly as we explored the only road on the island.